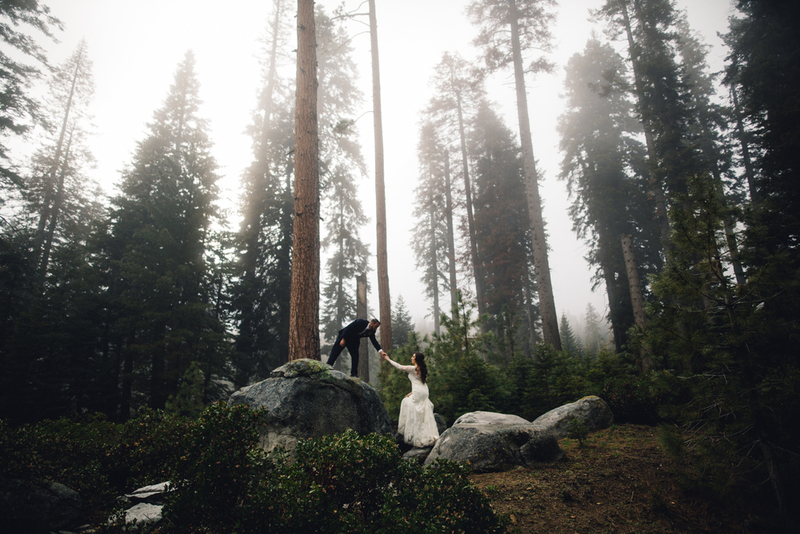 We woke up in the morning and stumbled from the campsite to find a heavy cloud resting on the ceremony site at Beetle Rock, in Sequoia National Park. 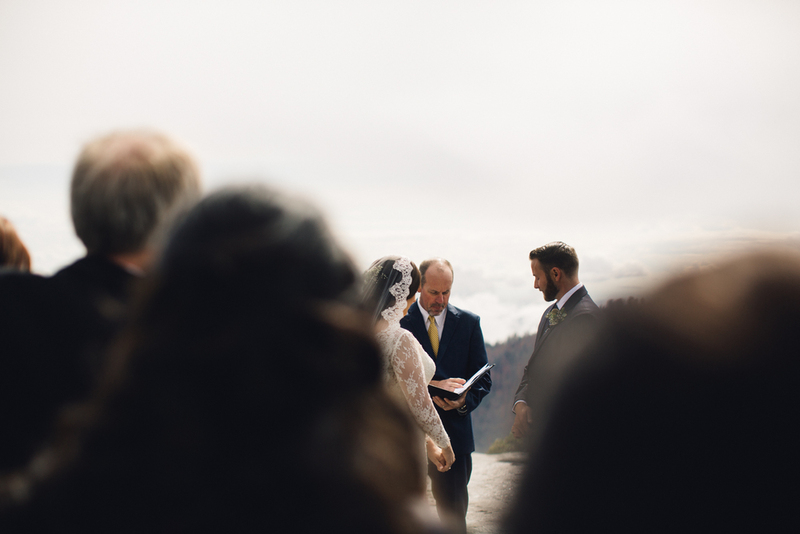 You never know what kind of weather you'll find in the High Sierra, and this cloudcover was predictably unpredictable. 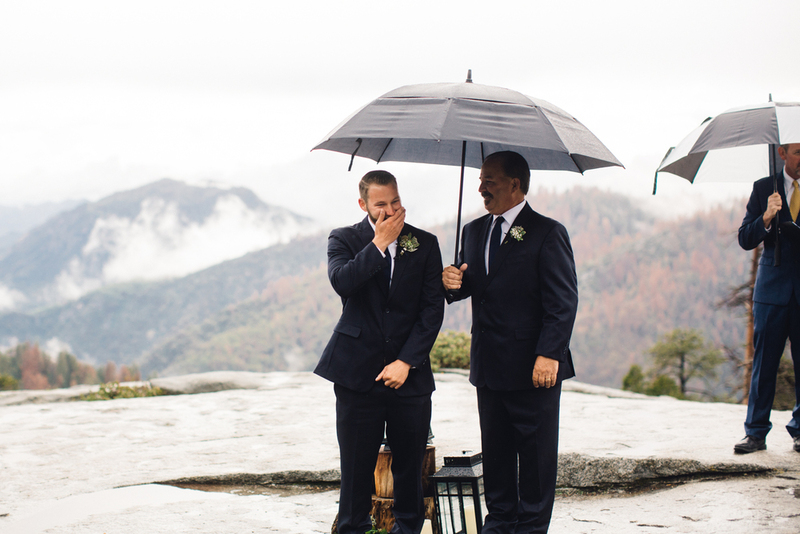 The fog disappeared, then the rain came, then it started snowing like there was no tomorrow. 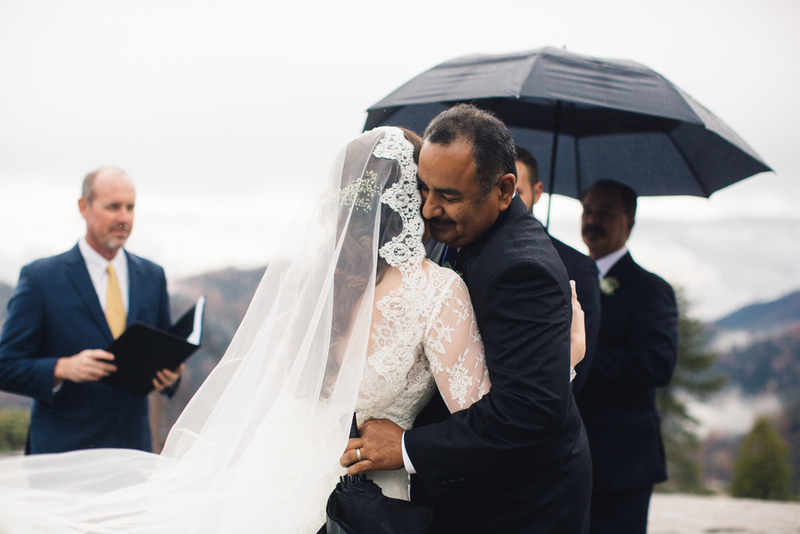 After deciding to carry on with the initial plan rain or shine, Marissa walked down the aisle and the rain stopped, clouds parted, and sun beamed down warmly as we all stripped off our raincoats. 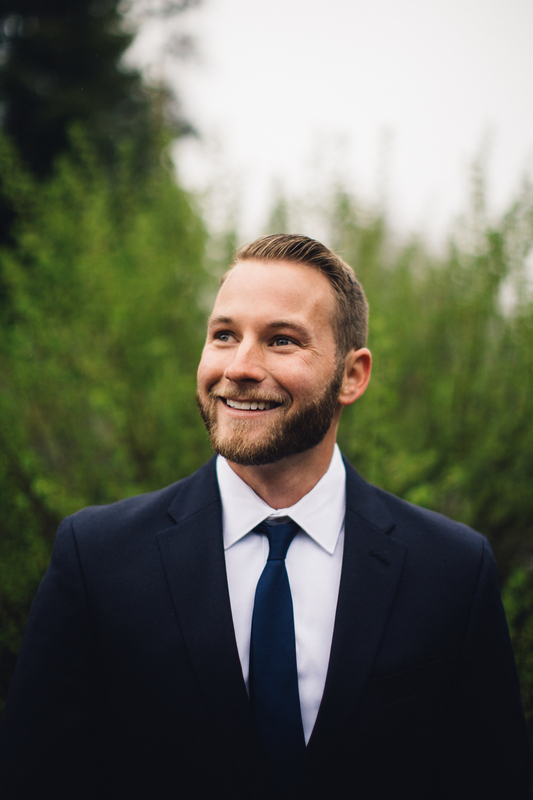 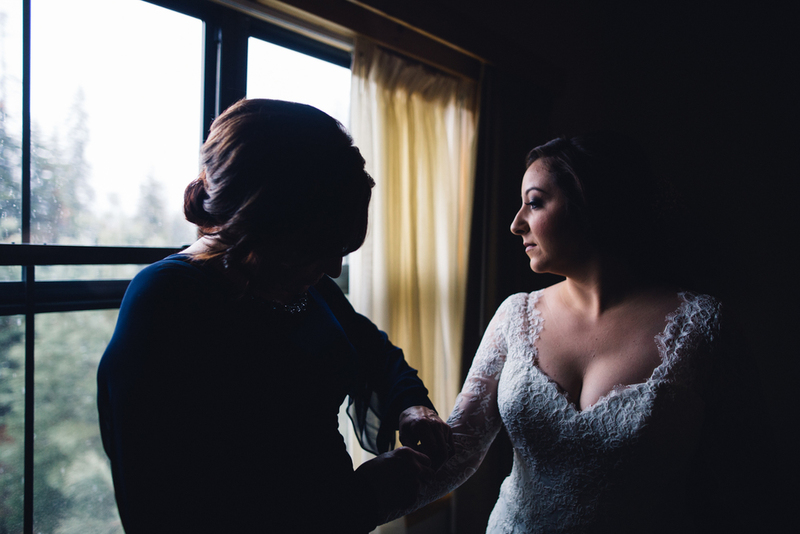 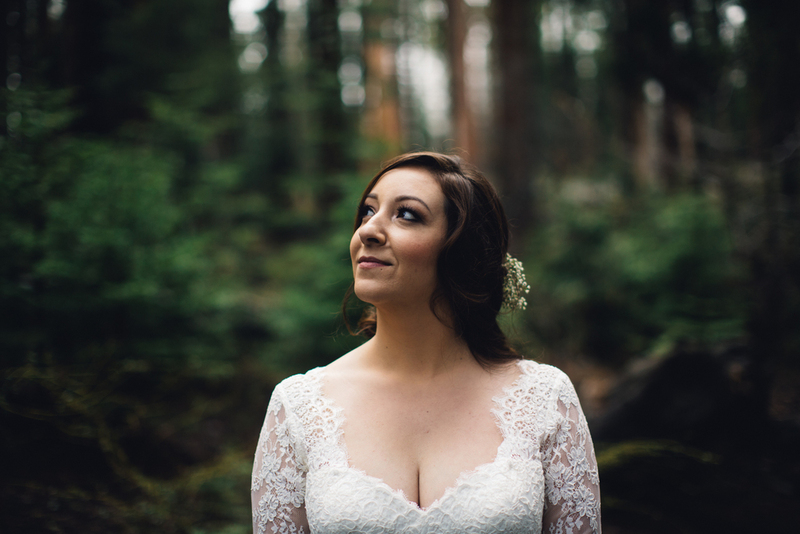 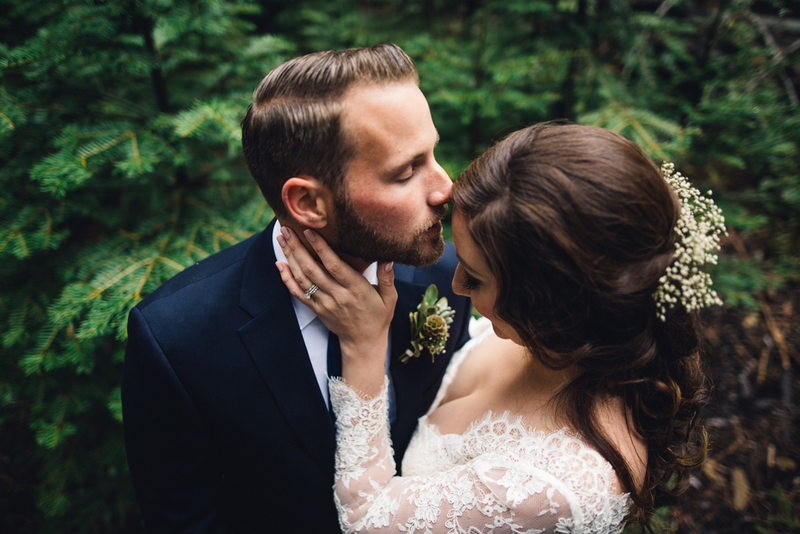 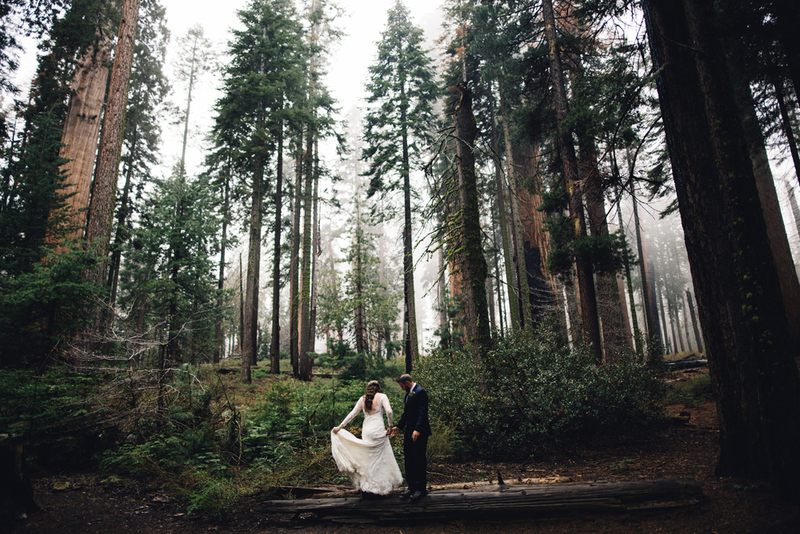 Check out a couple frames from Marissa and Justins dreaaaamy Sequoia National Park wedding ceremony, and reception at Wuksachi Lodge. 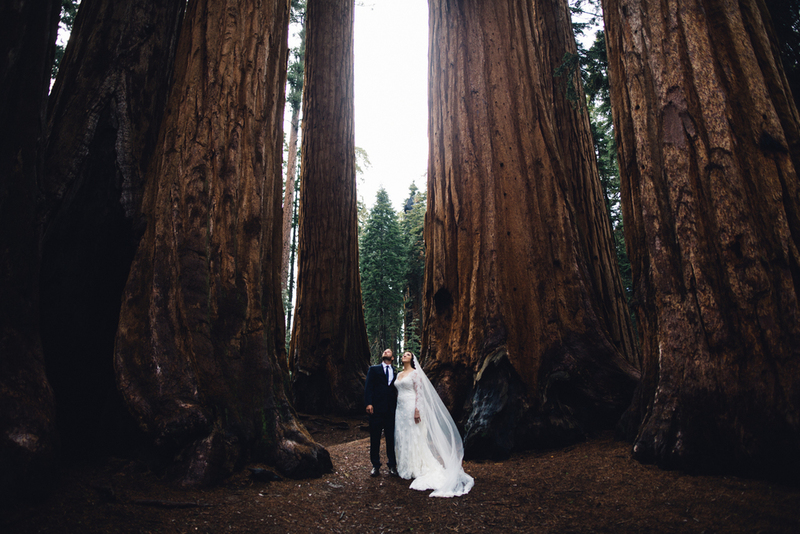 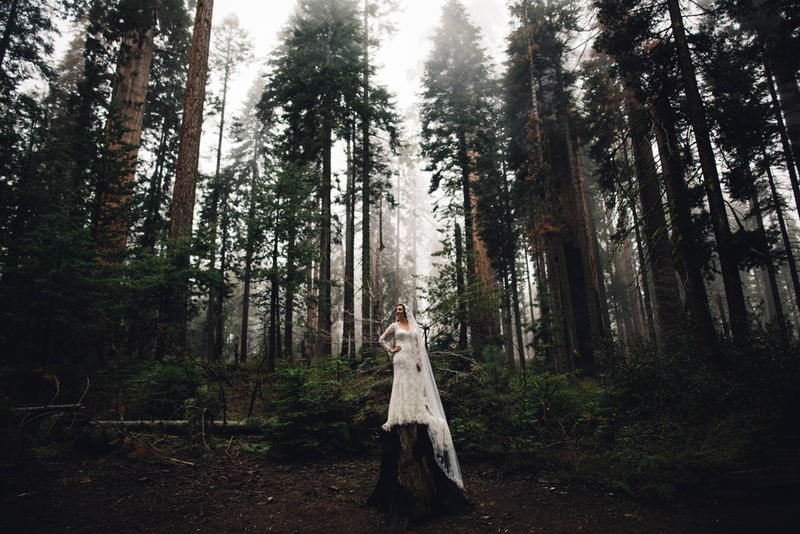 A Fierce Love | Sequoia National Park wedding photography, destination adventure weddings, portraits, & elopements.